Your Party Place Headquarters In Harrisburg! At ABC Lanes we host lots of awesome birthday parties, great corporate parties and cash generating fundraisers every year! 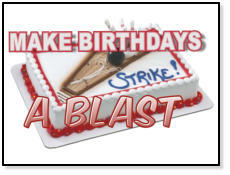 Kids Vote Bowling Birthday Parties #1. 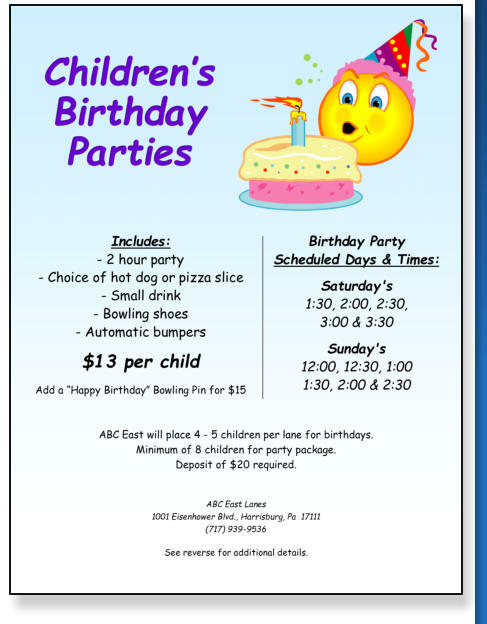 When you're looking for a birthday party place in Harrisburg...ABC Lanes is your party headquarters. We understand that home birthday parties are a lot of work: picking a birthday theme, decorating for the party, cooking, entertaining during the party, and then cleaning up after the guests leave! Kids Birthday Party Info We understand that home birthday events are a lot of work: all the preparation, decorating, cooking, entertaining during the party, and then clean up after the guests leave! 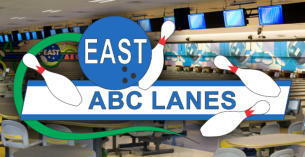 Please call ABC East @ 717-939-9536 for other available times.